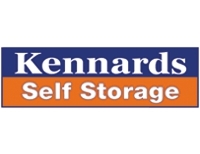 CCTV surveillance, 7 day access, a range of sizes, flexibility are just a few of the features available at Kennards Self Storage. We are committed to providing a service that stands out from the crowd. Every element of our operations is designed with the customer as the focus. We realise that when you need storage, you are going through a significant event which that can be emotional and stressful. Our staff is highly trained to help first timers and regular self storage users, offering exactly what you need. As a company that is ethical and transparent in all of our dealings, our properties are the cleanest, brightest, and represent the highest business standards. Our buildings are compliant to relevant codes and our protection systems are maintained and certified. Our customers can feel assured that their goods will be stored in a safe, well maintained property, owned by a family that cares. Visit us online or come down to one of our locations today. At Kennards, you have a range of storage options for Boats, RVs and Cars. We've got covered and uncovered space options for car storage. Worry not about space, our sizes stretch from one cubic metre to four car garages, and if that isn't enough, we've got mini warehouses.